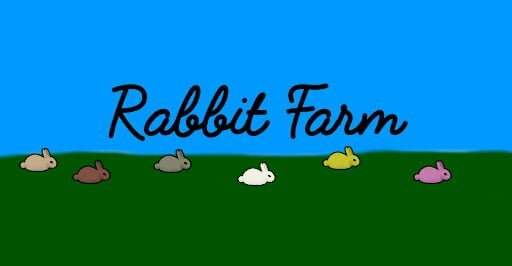 The Rabbit Farm Mod adds several kinds of rabbits to the game and makes some slight alterations to the standard hares. There is only one mod file and it is easy to add or remove additional rabbits. The mod otherwise introduces no new items or textures. Standard Hares – Hares and Snowhares. Changes the damage and frequency of attacks so that rabbits attack fast when they actually choose to attack. Cadbury Bunny. This yellow rabbit lays eggs and gives milk. In order to fix an issue where the rabbits would lay eggs all over the wilderness and could not reproduce, the eggs are treated as “wool” by the game. Energizer Bunny. Similarly to the boomrat, this pink rabbit gives chemfuel for milk. Angora Rabbit. This rabbit is so fluffy it might serve as the end of the world’s largest Q-tip. It gives as much wool as an alpaca. Caerbannog Rabbit. This foul beastie is as strong as a grizzly bear. It attacks fast and can be relentless. Train them for release, and they can be invaluable for raids. Have too many of them, and they produce a good amount of meat. We have plenty of mods that expand the breeds of dogs and cats. But what about the rabbits!? The Rabbit Farm Mod comes with many new varieties of rabbits, each with specific qualities that you can put to good use!